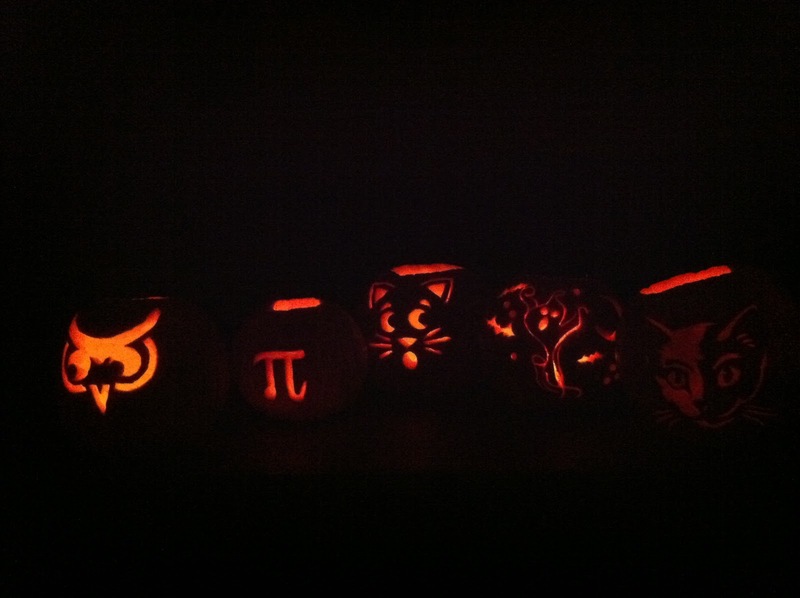 Friday night, we went to friend's house to carve pumpkins. Believe it or not someone in this household had never carved pumpkins before. I'll give you two guesses and a hint, it wasn't me. Maybe it's the lack of cooler temperatures, but pumpkins don't last here the way they do up north. I am very sad to say that the delicate cheek bones of my owl really didn't hold up well. Mark's pumpkin pi fared slightly better although he was miffed when I objected to him taking his slightly molded pumpkin to some Halloween festivities to show off his handiwork. I don't know about you, but mouldy squash just doesn't scream "hostess gift" to me. You? Happy Feast of All Saints everybody! 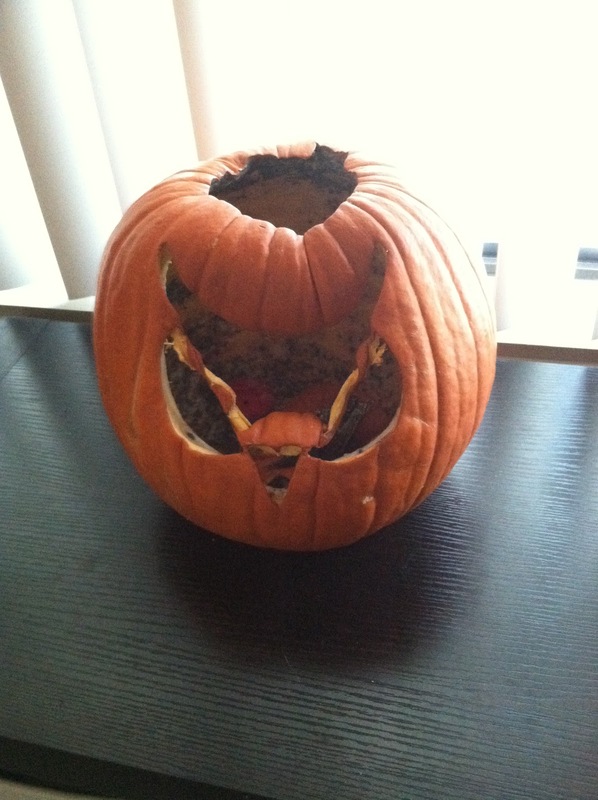 Hah, I love your pumpkin pre meltdown - it looked awesome! Mark's pi pumpkin is very cute also, and a nice little play on words. Can't wait to see you Friday! the pumpkins here aren't/weren't big enough to carve...LAME! Just stumbled upon your blog, love the pumpkins! !